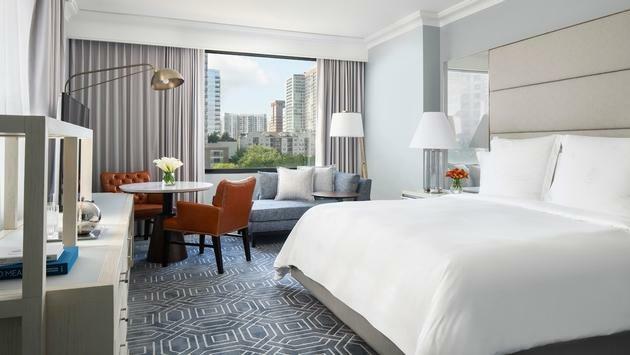 The Four Seasons Hotel Atlanta has just unveiled a sweeping renovation designed to bring modern amenities and improved functionality to the urban hotel. While a portion of the room upgrades was completed in 2015, now all 244 guest rooms, including 18 suites and five new terrace suites, have been updated with a contemporary classic motif that showcases modern design, the hotel said in a statement. “We are thrilled to see how the refreshed room design and upgraded public spaces have complemented the existing, classic structure of the hotel,” Regional Vice President and General Manager at Four Seasons Hotel Atlanta, Yvette Thomas-Henry, said in a statement. The new guest room design features a fresh take on urban hotel living, including soft patterned carpeting, aged brass fixtures, and soft velvet accents. The artwork in the guest rooms, suites, and corridors was sourced from Canvas Art Consultants in Atlanta. “The vision was to tell the local Atlanta story using a sophisticated collection of quiet, contemporary works,” said Matthew Whitaker, director at Canvas Art Consultants. 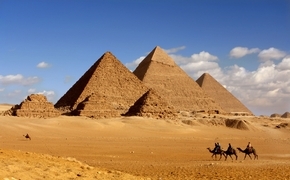 To accomplish this, Canvas Art Consultants engaged local artists to create commissioned works referencing architecture, relics, memory, and ancestral heritage. “The design team was a dream to work with—they have exquisite taste and exacting standards. It was an honor to collaborate with Four Seasons Hotel Atlanta and Meyer Davis on this project and celebrate the artistic talent within our great city,” added Whitaker. In addition to the guest rooms and corridors, the spa, pool and fitness center were also refreshed. Highlights include such details as new custom lockers in the men’s and women’s locker rooms and an upgrade to the steam rooms and saunas. The hotel’s pool, which remains Midtown Atlanta’s only indoor saltwater pool, was completely refinished and paired with new lounge chairs and sectionals. The fitness center meanwhile, is now equipped with state-of-the-art equipment such as Peloton bikes and SkillMill treadmills. 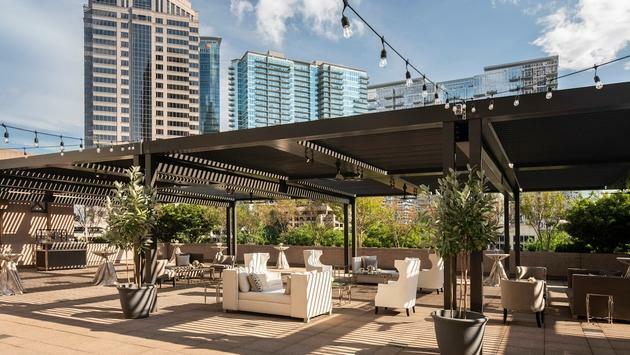 The hotel’s fifth-floor terrace, one of two outdoor event spaces, now features an expansive louvered pergola creating an ideal space for outdoor weddings, parties, and other special events.